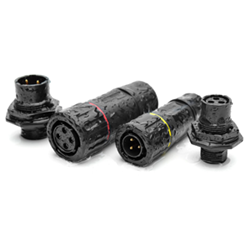 Heilind is now stocking Amphenol Sine’s ecomate Aquarius MIL-DTL-26482-type connectors, featuring waterproof protection and a thermoplastic design. Heilind Electronics, an authorized distributor for Amphenol Sine Systems and a premier distributor of electronic components worldwide, is now stocking the manufacturer’s ecomate Aquarius waterproof connectors. Visit Heilind’s website for more information about Amphenol Sine Systems ecomate Aquarius Waterproof Connectors.